This is one of the latest topics in anti-aging remedies, and one I felt compelled to educate you on in your search for youth. Is HGH the fountain of youth? According to some research, you would definitely think it was. There is some amazing information out there on the subject, and it is definitely looking promising. HGH stands for Human Growth Hormone. The fancy term is somatotropin. This hormone is made in your pituitary gland, and it is tasked with many jobs, including cell reproduction and regeneration – wow, that right there says it all – it also regulates body fluids (back to the water I keep talking about), bone growth, muscle development, the ever-important sugar in the body. It performs work on your heart, too, as well as all your organs and tissues. Sounds pretty important, doesn’t it? Well, it is! It is truly your internal fountain of youth! The paragraph above shows some functions of HGH in the human body. It is a key ingredient in the healthy you, and the younger you, and so now the question is, should you take a supplement of synthetic HGH and what are the side effects? Remember, this is a relatively new study, so the testing and research is just in the beginning stages. What is out there to date does show that HGH prduction is another amazing tool to help fight the effects of aging. GH (growth hormone) is used in dairy farms. Many people look, now, for dairy products that claim to not use growth hormones on their cows. The FDA has not approved it, and many sports leagues now ban the use of it for their athletes participating in sporting events. Let’s dig further. Synthetic HGH – Is it approved for use? The FDA has not approved synthetic HGH, and research is still out on whether it is a successful anti-aging strategy. It is recommended by top doctors that instead of injecting synthetic HGH into your body that you enhance the production of your own fountain of youth HGH. 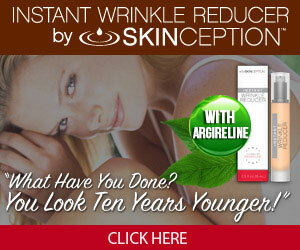 This has been shown to significantly reverse the signs of aging. If you want to learn more about this natural remedy, you can read about it here. There are some side effects to injecting synthetic HGH which every person should be aware of, and I always suggest when trying something new like this, you check with your physician and have him monitor your health during it’s use. Synthetic HGH is banned for athletes, so that tells me that there are some benefits, like increased muscle mass, that people are looking for, but that would perhaps give an unfair advantage to a participant in a sporting event if it were used. The HGH when naturally supplied provides a wealth of benefits to the human body, including making you look younger. Synthetic HGH, however, does come with side-effects. An increase in insulin resistance would be the most profound negative side effect. Carpal Tunnel Syndrome, believe it or not, is another side effect. I’ve had carpal tunnel, it’s no joke, it is extremely painful and limits the use of your hands and arms. Joint and muscle pain are other side effects of synthetic HGH use. It seems counter-productive to me to take something that is supposed to make you feel younger and better, only to find you have increased pain in your joints and muscles. Older people already suffer from this condition, and the last thing they need is more of it. Another side effect that I feel most men would find disturbing is an increase in breast size. I know most men do not want to have breasts, and it is unknown at this point, whether it would continue to effect the men once use stopped, or if it could cause long-lasting side effects. Swelling of the arms and legs has been shown to be yet another side effect of synthetic HGH use. Increasing your natural HGH levels has miraculous benefits, and I have done extensive research on this subject and found a product that is really just plain amazing. I never recommend any products that I don’t 100% believe in. I’m going to outline some of the benefits of a product called GenF20 Plus that you simply have to try. It is so good that it comes with a 60-day money back guarantee to give you a no-risk way to try it and see for yourself. Wow, can it be for real? It is! I’ve written an article that will give you doctor testimonials as well as testimonials from people who have tried it. You’ll get an idea from reading this article of just how powerful GenF20 Plus is! I have provided a wealth of information on this site about ways to improve your appearance, how you feel and your mood, and I offer a wide variety of tools to accomplish those goals. I would say for the HGH debate, that the natural wins in this case. If you have other information that you think would be useful for this article, I would love to hear it in the comments section. I have only just begun to research this subject, but I find it fascinating, and I want to be sure to give you all the relevant information on the topic so you can make an informed decision! Thanks for the information on HGH. It is often branded as the top remedy to looking younger and gaining more height, and it is do easy for one to use it without knowing the associated side effects. I didn’t know them either, thanks for the info. Thanks for this article on HGH, I haven’t heard of it before. We all want anti-aging remedies and look younger. For this HGH, seems there’re lots of side effect, better wait until it’s FDA approved. It sounds to me like HGH is certainly not the way to go to me, the risks far outweigh any benefits that may manifest themselves. I’d rather my body do it’s own thing. It’s a really informative piece, thanks. I want some but without the side effects. I think maybe HGH is something that will definitely be happening in the future, not in my lifetime. I really like your website it is different than the run of the mill websites. You have kept the colours to a minimum which I kinda like. I wish you success in converting people to your product. Hello Babs, thanks for the info on HGH. I have never heard of HGH before, and it is always good to learn new things. I wouldn’t consider it at all, due to them side effects, and being unapproved by the FDA. I like to do things the natural way. Thanks again, and I wish you the best of luck with your research!!! This was a great article packed with information. Anyone considering this needs to read this first. The side effects alone are scary. Great article as a lifelong bodybuilder I know already long time about the great effects HGH can have, but as an athlete your not allowed to use it. I also have seen the negative side effects when using the synthetic HGH. HGH-Human Growth Hormone used to be foreign words to me. However as I get older its quite nice to learn more about the fountain of youth. Lord knows that at age 51 I need it. Also my wife thinks she needs it. This is the kind of website I like to read. It feels like it is a person talking to a person. Not some big commercial company trying to sell me over priced products. Yes, I am a person who has always been interested in maintaining my youth as I age so I am able to enjoy my favorite activites. I am so excited to bring all this valuable information to you all. I read about this not long ago and decided to research more about the topic. One of the beauty center that I frequent was actually promoting the use of this product, but the word ‘synthetic’ didn’t rhyme very well with me. I wasn’t aware of the carpal tunnel syndrome and having just recovered from multiple back pains, I have no intention to use this product anywhere near the future. Thanks for the informative tips. Personally, I much prefer the natural way of enhancing your own body’s production of HGH, rather than taking synthetic ones. It’s not surprising, the side effects you mention. It’s never right to mess around with nature, much less our own body which is a miraculous work of nature. Thanks for educating us on this, I’ll be checking out your natural means to enhance HGH levels in our body! Nicely written article! Like Joo said up there, I’d prefer the natural way of enhancing my body’s production of HGH as well. So many supplements and all these things that claim to enhance this and that always come with side effects one way or another. There are actually natural ways and remedies for so many things related to health. Diets for one do help… though, I’m probably at the age where I don’t need to do much research into those yet. This is an interesting article and includes some information I have never heard of before. It’s very informative and interesting. I have heard that HGH is wonderful and reading the article I see so many benefits listed. I like that this product you recommend merely enhances the body’s own HGH levels and doesn’t add any of the synthetic HGH which is good. Great information on this site. I do not know much about HGh not until I read this article and I must appreciate the brain behind this article because l have learnt a lot from this and things I do not know about health I have been enlightened. I will start following you to get more updates. Thanks for sharing this information. I have read that intermittent fasting is a great natural way to increase levels of HGH. HGH is a fat burning hormone so it only makes sense that it would be helpful. I don’t like the idea of synthetic human growth hormone especially after reading about the side effects. What are your thoughts about intermittent fasting and HGH? I like the fact that you recommend enhancing the natural HGH in the body and not introducing any external HGH to the body. I believe in letting the body do it’s own thing, and so I was happy to see your other article where you recommend a product that simply enhances the HGH that the body produces on its own. Great info. Thank you for this amazing post, I find it really helpful and highly informative,I think the HGH products will be the best to look younger and to prevent Aging in adults. I have a some questions, is the HGH product of natural source, can it be used along with other supplements?